Told from multiple viewpoints - pilots, stewardesses, management executives - Skygods is the life story of an American icon. At the risk of dating myself, I only flew on a Pan Am aircraft once - which is somewhat amazing, as growing up I flew a fair bit. But I'll chalk that up to being Canadian, and therefore I typically flew Canada's carriers. But I distinctly remember that trip - and the awe when I saw that I'd be flying from the Orient to LA on. . . Pan Am. It had a mystique that was unshared by other airlines. For a few years, I parked that memory; but there have been many times, as an adult still travelling internationally, as I've looked at the liveries of the aircraft in Charles de Gaulle or Heathrow, that I've wondered, what whatever happened to Pan Am? This audio book answers that question. It's a fascinating social history of Pan Am, in an easily digestible, captivating narrative. When I first heard the sound bite, I was concerned about the narrator - but I quickly came to realize he was an inspired choice. At times the book is almost "campy" - the Sky Gods and the Imperial Sky God. But this really fits the story. And the narrator, with his slow, at time exaggerated drawl - perfects the tone of the book. 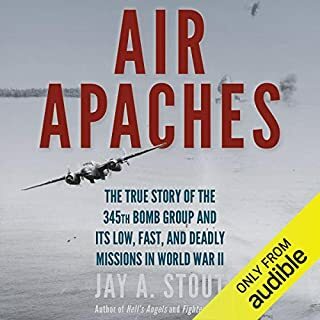 This was a really enjoyable audio book about a subject that has piqued my interest many times since that first flight. It's very easy to listen to: have a little patience with the narrator to start and you'll soon realize his genius for this book. For those who are interested in the history of aviation - and were taken in by the mythical aura of Pan Am - this will be very enjoyable. 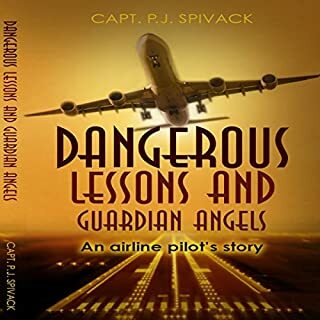 Attention Aviation History Enthusiasts, former and current Airline employees and anyone who likes to read a good true story about American history this book is a must read for you. 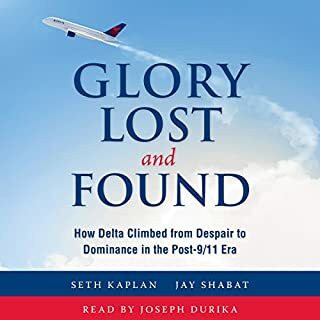 Brilliantly narrated by Thomas Block, this book is hard to stop listening to, I found myself driving around my block just so I could finish a Chapter before parking. A compelling, interesting book, even though it is very detailed. Fast moving story tied to American history and Aviation development. 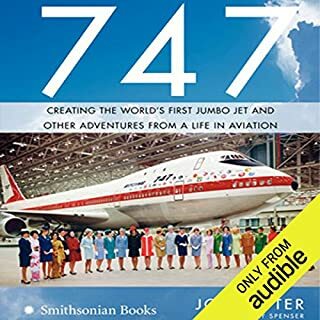 I bought this book as a companion to Joe Sutter's thoroughly engaging book about the 747 jumbo jet. Pan Am was a crucial Boeing customer for both the 707 and the 747. This book is not bad, but somewhat disappointing. A book about the rise and fall of an iconic American business has the potential for an interesting story. Mr. Gandt does a decent job, but left me feeling it could have been better. 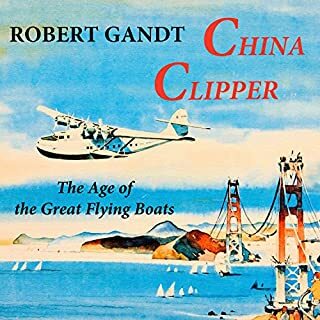 It would have been interesting to have more discussion of the "boat days" (the 1930s era of the flying boats which marked Pan Am's rise), including more information about what flying on those "clippers" was like. It would have been interesting to have a more detailed biographic sketch of Juan Trippe, the original "Sky God." We get a decent outline of all of this, but no more. Instead, the book is loosely organized around the careers of so-called "new hire" Pan Am pilots from the mid-1960s. When hired, these talented pilots were told they would command SSTs. In reality, they ended up working for an airline that faced one struggle after another while their careers languished. Although this is interesting in some respects, it almost seems like Mr. Gandt chose to focus on a less compelling aspect of Pan Am's history than he might have. Ultimately, this is a story of hubris. Pan Am was run by Mr. Trippe, and then others, with little input, and certainly not constructive criticism. Pan Am's other executives and Board failed to ask the tough questions and make the proper corrections. As a result, a business empire was ultimately forced to dismantle itself piece by piece. From this perspective, Mr. Gandt offers an important cautionary tale. As a further cautionary tale, beware of Mr. Block's narration. I found it absolutely grating, although apparently some others have liked it. Mr. Block sounds like a grizzled uncle (or perhaps a chatty bartender) from one of the boroughs of New York (or perhaps Jersey or Philly). He repeatedly mangles pronunciations. You can hear where the producers have apparently gone back and dubbed over mispronunciations of names. Unfortunately, it is just impossible to correct everything that is wrong with this narration, which I would characterize as amateurish. That said, listen to the sample. Some (inexplicably to me) seem to like him. I will not buy another book that he has narrated. The book covered details and provided facts previously unknown regarding PAN AM's key to success and its eventual demise. Such an amazing American icon's story is a must read for anyone interested in American and/ or aviation history. Would you listen to Skygods again? Why? Yes I would. As an Air Traffic Controller in Miami during the 1980s and 90s I personally witnessed many of the aspect of this writing. The clear and meaningful flavor of Mr. Gandt's writing puts new spin on many of the things I was part of as they happened. The subtle humor that is reminiscent of J Moore's "The Wrong Stuff: flying on the edge of disaster"
I've listened to several of Mr Blocks works and this one actually exceeds the excellent quality that I've come to expect. I wouldn't. Aviation movies always get it wrong and I wouldn't subject a great work like this to that trash heap. For much of the 20th century Pan Am was THE airline. It was the gold standard. How did it go from that lofty perch to just being a memory ? If a friend was interested in aviation or history, it's worth it. What other book might you compare Skygods to and why? Non-fiction version of numerous airline/ airplane dramas. Yes, absolutely. Sounds like it was recorded in his basement. He clearly knows aviation, but so what. Pan Am's history is fascinating, dramatic and , at times, heart wrenching. I got none of that from this narrator. Do you think Skygods needs a follow-up book? Why or why not? No. There was only one Pan Am. Good example of a fascinating story hurt by a lackluster narration. Not bad, but not incredible. The story is an interesting listen, but it didn't grip me throughout. Juan Tripp seemed like a jerk to me, reminded me of the guy who drove Lehman Brothers into the ground, what was his name, Fauld? The flights to his Caribbean home was only one, albeit perhaps the most egregious , example of executive priviledge. And New York!? They deserved it. 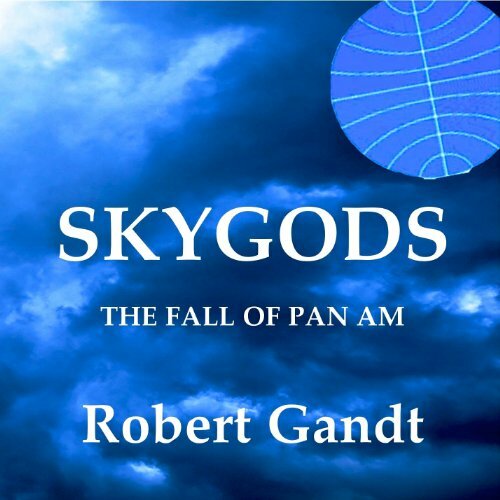 Skygods was the first book on Audible that I had the pleasure to listen to. I loved it! It's a great piece of non-fiction. I learned so much about the making of the airline industry, it's people and personalities. The narrator or reader's voice fit the saga of Pan Am perfectly. Great lesson in aviation history. Having grown up and begun my flying career during that era, Skygods helped me put a lot of the puzzle pieces together. 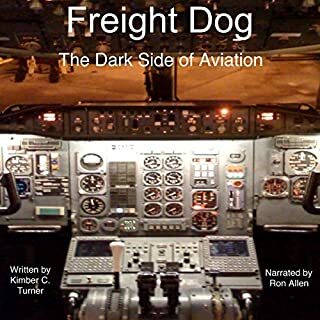 It certainly jogged my memory and gave me insight into what was happening behind the scenes during those periods of aviation change. My mom was a Stewardess/flight Attendant for Pan Am during the late 50s and early 60s. The book opened my eyes up to some of the same scenarios she must have gone through. For anyone with an interest in aviation, this is a good read/listen. Not too technical but interesting overview of the history of the airline from a corporate and personal view. I bought this book having read something similar about Lockheed some years ago. This feels more like a novel, in a way, than hiatory. The book is broken up into nice short chapters, each with a complete story of it's own, which add to make a fascinating tale of corporate hubris. I ended up unable to stop myself from listening virtually non stop. I would, however, recommend that you listen to a sample. I found that I liked the narrator but I can imagine that his drawl may annoy some. For me though, one I am glad to have in my library, and one that will bear another listen.